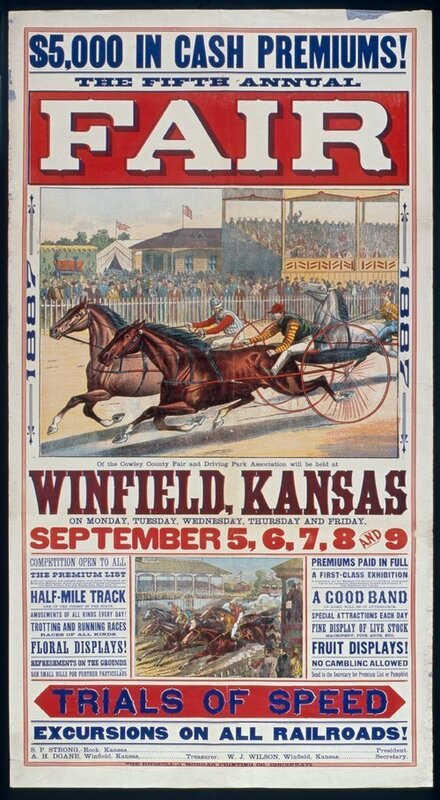 Fair poster advertising livestock, horse racing as well as musical entertainment events. The poster states "no gambling allowed." Fair officers are S. P. Strong, Rock, Kansas, president; W. J. Wilson, Winfield, Kansas, secretary; and A. H. Doane, Winfield, treasurer.